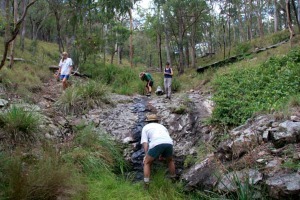 The Brisbane Frog Society was formed at a meeting held at the Downfall Creek Bushland Centre in September of 1990. It was incorporated to become the Brisbane Frog Society Inc. in December of 1992. Widespread interest in frogs lead to growth of the society into areas outside the Brisbane metropolitan area, consequently the society was renamed the Queensland Frog Society Inc. in August 1998. to reflect the expansion of the society. The patron of the Queensland Frog Society is Dr. Glen Ingram. To encourage and foster an interest in frogs generally, focusing initially on the species of the Brisbane area. To undertake a continuous survey of the local native species to determine their relative abundance and distribution and where necessary, make representations to governments on conservation needs. To provide expert assistance and education for newcomers to the world of frogs on identification, biology and intrinsic beauty, as well as environmental value, through field trips, lectures, slide nights and regular newsletters. 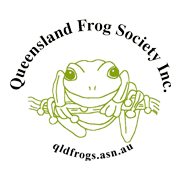 To find out more about “the most splendid of creatures”, or simply to share in the joys of frog watching, you are invited to join the Queensland Frog Society Inc. Members receive the Society’s quarterly Frogsheet newsletter and are able to take part in field trips and attend lectures. New members are also entitled to collect a free copy of the “Frogs of Greater Brisbane” poster. The Society also has public liability insurance. Each year QFS take the display to fetes and fairs to spread the word about frogs. In the 12 months to September 2008 the display has been to at least 14 events. Don’t let inexperience put you off – helping on the stall is a great way to learn about frogs! It’s great to hear people’s stories about their frog experiences. Please get in touch if you would like to help at a display or if you know of an event in your area at which you’d like to hold a stall. Frogging season – late Spring and Summer. Get out your torch and join us. Each year we go away on about 4 camps. We usually try to go to areas where we can see different types of frogs. For example, to Goomburra or Lamington plateau to see frogs that are only found at these higher altitudes or to the sandy coastal heaths of Cooloola to see the wallum frogs that can tolerate the acidic waters. QFS are often invited to schools to talk to students or to advise on siting and construction of ponds. QFS hold workshops on request on topics such as Frog identification or ‘How to make your garden frog-friendly’. Throughout the year QFS arrange talks for members and the public. See Events Calendar for what’s coming up soon. 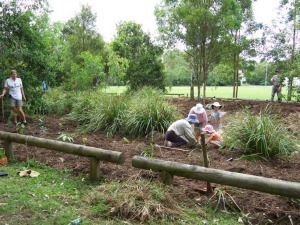 QFS participates in the Habitat Brisbane program by maintaining frog habitat at Bowman Park, Bardon. The park includes three different frog habitats – ephemeral ponds that fill during Summer rains, pebbly Ithaca creek and the ‘new creek’ (a deconstructed concrete spoon drain). There are six species of native frogs that breed in the park. Join us on the first Sunday of every other month (February, April, June, August, October and December) from 8-10.30am. Meet in car park at the end of David Avenue. 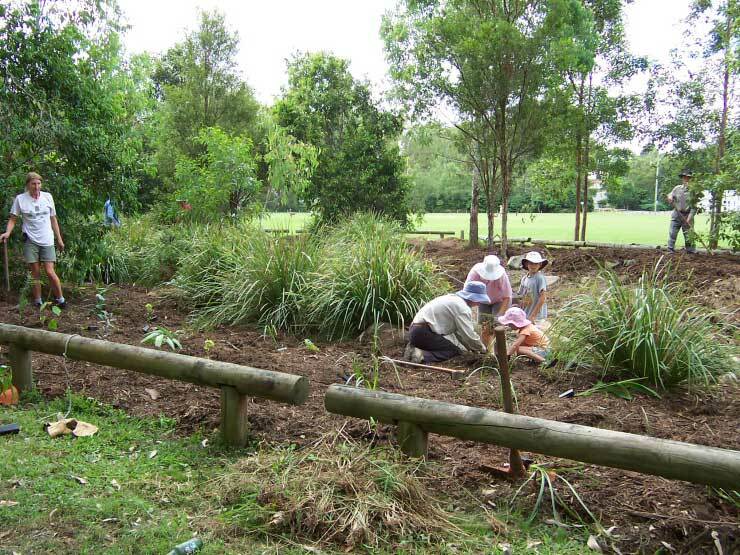 Contact Phil (frogphil@gmail.com) or Jenny 3366 1868 for details of next working bee. QFS give advice and respond to queries by phone, email or in person.